Grand Hyatt Jakarta has decided to cut its use of single-use plastic products, replacing it with other alternatives. This includes plastic straws, takeaway meal boxes and cutlery, cups, cup loads, stirrers, drink picks and bags. It decision to phase out single-use plastics occurred in July, according to The Jakarta Post. 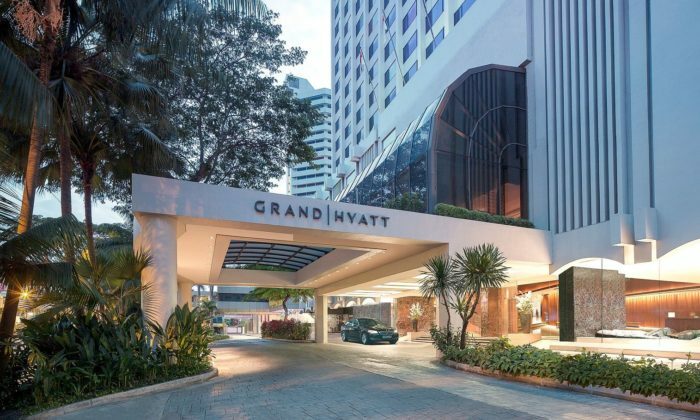 Peter Stettler, general manager of Grand Hyatt Jakarta and area vice president for Indonesia said in statement that the hotel is also working closely with eco-friendly product manufacturers to choose the materials being used. Plastic straws in the establishment have been replaced with premium quality paper straws which are friendly for the environment. This means being chemical free, compostable and FSC (Forest Stewardship Council) certified which ensures the paper being used is sourced from sustainably managed forests. Previously, the hotel issued over 7,000 plastic straws to guests every month, Stettler said. He added that the hotel is looking to save 90,000 plastic straws from entering landfills or oceans each year. The report added that its takeaway containers are now made of bagasse which is derived from sugar cane. The hotel is currently still working on switching to more environmentally friendly options for plastic bags, such as bio-cassava bags. The eco-movement has also taken root in the culinary division of Grand Hyatt. For example, yogurt is now served in glass jars while butter is served on a ceramic butter dish instead of plastic packets. The teabags have also become bio-degradeble, made of plant-based materials, the local news outlet added. Marketing Interactive has reached out to Grand Hyatt Jakarta for comment. Grand Hyatt is not the only brand to have taken a firmer stance on plastic straws and other single-use plastics. Most recently, brands such as KFC said it would no longer provide plastic caps and straws with drinks in its Singapore outlets, unless it is for takeaways. NTUC Fairprice as well revised some of its plastic bag-related customer policies. Meanwhile, Starbucks Coffee Company also said it would eliminate single-use plastic straws from its more than 28,000 company operated and licensed stores by making a strawless lid or alternative-material straw options available, around the world. Starbucks, is one of the largest food and beverage retailers to make such a global commitment, and it anticipates the move will eliminate more than one billion plastic straws per year from Starbucks stores. Discovery acquires the rugby-focused Setanta Sports Asia, expanding its network that last year included the acquisition of Eurospo..
W Kuala Lumpur's spokesperson told A+M it is targeting Singaporeans as the Malaysian city is a popular weekend stopover for Singap.. Following the first double digit drop in adspend in 16 years in the first two months of the year, Hong Kong's ad market continued ..